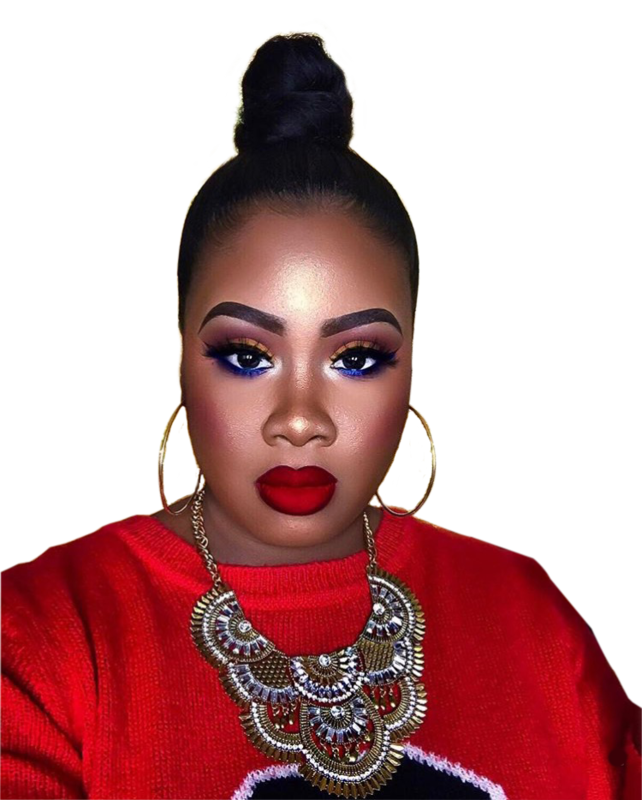 Raised in Brooklyn, New York with a Saint Lucian background, Karla Tobie grew to love hair and makeup by playing with dolls at a very young age. Further growing into her teenage years, Karla started to realize that her friends were the perfect guinea pigs for her to practice on. Though looking beautiful was one thing, feeling beautiful another. With this, Karla saw how important changing and impacting someone’s life could be; so she made it her mission to always make a positive impact in people’s lives by enhancing their natural beauty. Karla started working at Chipotle in 2012. “Working over there wasn’t a life plan for me” she said. Many of us find ourselves doing jobs that we don’t plan to, we sometimes spend years working in the same place not because we want to, but because life puts us in a situation to do so. That is why she decided to go to college, later focusing on medical school. She studied Biology because the main goal was becoming a doctor. Meanwhile still working at chipotle, it was difficult to keep a job that required more than 8 hours of your time a day while in college, especially further planning on attending medical school, but she took the risk anyway. During one of her semesters in college, she found herself in a hard position where she had to cut off some hours so that she can take three classes that were very crucial. Unfortunately, her manager refused to give her that permission. Karla understood life was about taking risks, so she was brave enough to try juggling working 40-45 hours a week, still while attending school full time. Unfortunately, she failed two classes and barely passed the third one. I’m sure you know how hard it is to fail classes in college, where FAFSA only covers half of your tuition in which you have to pay the balance. It was hard for Karla because she didn’t want to be just a regular student who doesn’t care about her credits, but an A+ student. Karla found herself in a situation where she had to take a lifetime decision while she was only 20 years old. Her optioned were to: continue working at Chipotle, find another job, or just go to college full time. Karla took the difficult decision: she QUIT Chipotle and decided to continue on with school! The thing is, Karla wasn’t working because her mom couldn’t take care of her, but instead, she wanted to be independent at a very young age. She learned that leaving a job is one thing, and finding another one would be extremely difficult. After spending weeks looking for jobs on Craigslist and other websites, she finally decided to watch some YouTube videos about makeup just for fun. “I didn’t take it that serious at the time” she said. Few weeks after, she started trying to do makeup on herself just to see how she looked. “It was so funny how I called some of my friends and told them that I wanted to do their hair and makeup whenever they were going out”. Karla’s first makeup appointment, she brought her tools in a black supermarket plastic bag to the client’s house. “That was so embarrassing for me cause I didn’t have enough money to buy a bag and I didn’t want to ask my mom for that either”. Since that day it was never a week where she couldn’t find at least 2 clients. Karla realized that she could go very far from just doing makeup, hair, and fashion. So in 2014, she took upon the opportunity to attend Cosmology school, where she attained her license as a certified cosmologist, but ALSO while still obtaining her degree in biology. Karla is now a professional cosmologist and Beauty Vlogger in New York. Karla is not only satisfied with the decision that she first took as a side-job and turned it into a career, but she’s also a post graduate with a Bachelors degree in Biology.